‘HONOURED’: EWN publishers Michel and Steven Euesden (centre) accept their award. 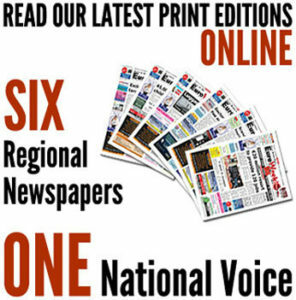 THE Euro Weekly News has bagged a national press association award for the second year in a row. 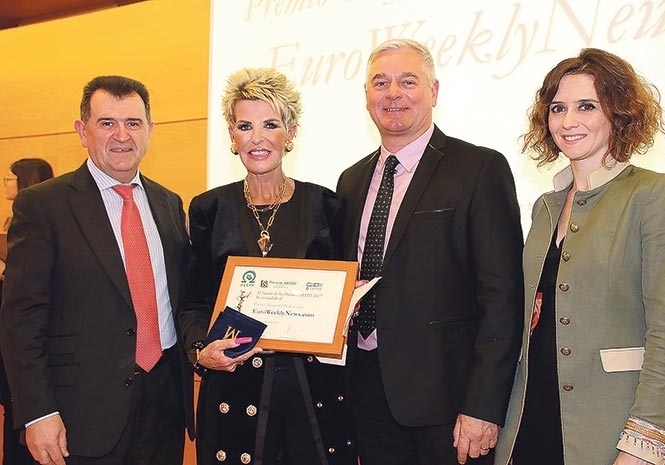 It comes after Spain’s leading English-language weekly newspaper picked up the Professional Trajectory Award at the 2018 Spanish Periodical Association (AEEPP) Awards. The jury featured Jose Manuel Velasco, president of Global Alliance, the international confederation of PR and communication management associations, and Miguel Justribo, Corporate Communication Director of Telepizza Spain, among others. Other winners included national daily newspaper El Español, Spanish news website El Diario, and American streaming giant Netflix. The AEEPP Awards event is now in its 12th year and is considered to be among the most prestigious press awards in Spain. The AEEPP comprises around 100 publishing firms which together produce more than 900 titles covering both online and printed media, with an estimated annual readership of almost 130 million. EWN publishers Michel and Steven Euesden were on hand to collect the award at the glittering gala event, which took place in the auditorium of the famous Royal Post Office building in Spanish capital Madrid. After collecting the award, a delighted Michel said: “The EWN Media Group is a family of people who work day and night throughout the year with dedication and passion. “We are so honoured to have received this award from the AEEPP. “As a team we work hard and believe in the future of all printed and digital publications. “We would like to give thanks to our wonderful clients and readers. “But in the main this award is for a team that has given everything over the last year, and we must also recognise their partners, as anyone in the world who works in print will understand.